Summer is all about freedom and what better way to feel free than to travel? If you’re going on a big vacation or maybe just heading to a local beach for a few hours, dressing for travel can be difficult. Long plane rides are the worst especially if you’re going across the country or even across the world. No need to fear about looking cute and staying comfortable for travel because Pretty Designs is here with suggestions. Here are 13 Comfy Outfits For Travelling. This outfit is simple and that’s exactly why it’s perfect for travelling. 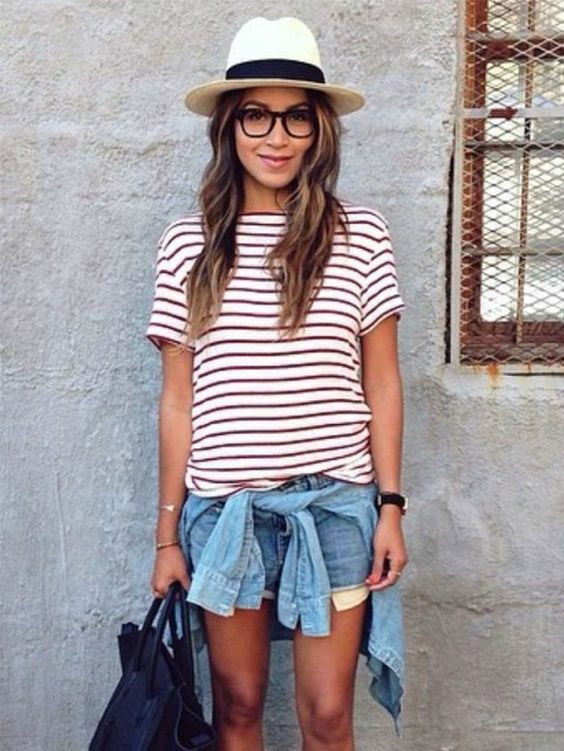 A pair of ripped jeans with a loose t-shirt will give you breathability and adding a sun hat will help keep you cool. Maybe ditch the heels or substitute them for wedges or even sandals. If you plan on going somewhere really hot and can’t stand to be in ripped jeans, this outfit is a better option. Wear a pair of denim shorts with a loose flowy top and add the sun hat and purse. It’s a casual outfit that won’t keep you weighted down in the heat. Maybe you want to look a less dressed up for your flight but still be comfortable. Linen pants are great for that because they’re loose and can pair with almost anything without looking sloppy. The slip-on sandals are great for flying so you won’t have as much to worry about at security. Loose dresses are perfect for travel because they’re loose. It’s basically like wearing a normal dress but without having to deal with zippers or anything really. You just put it on and you’re good to go. If you have an early morning flight or you’re planning on leaving really early, this is a great outfit. 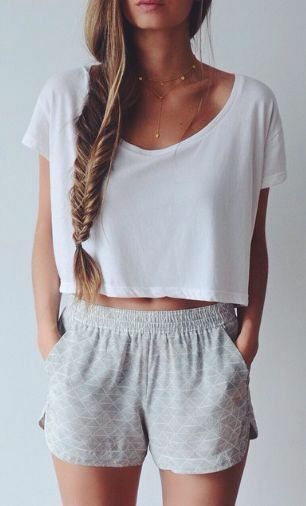 You can pair a simple crop top with a pair of patterned shorts for a little bit of color if you want. Then finish it off either with a pair of converse or sandals. This is one of the cutest outfits on the list. It’s just a matter of pairing similar pieces and making them into one extremely cute outfit. The pink maxi shirt and pink bra with the white tank top give it something more and adding the sandals and hat are the perfect finishing touch. A pair of cropped jeans with a simple t-shirt will give you a more laid-back feel. 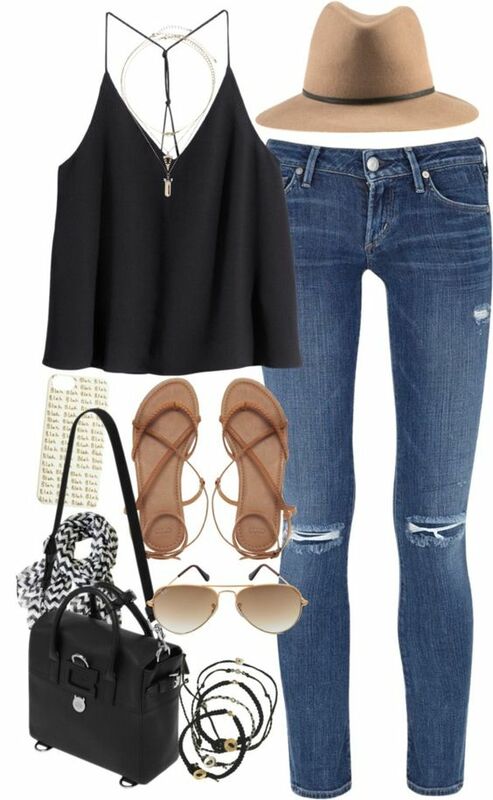 Adding the converse is great but could be mixed up by adding wedges or sandals. The sunglasses and hat are exactly what the look needs to be complete. High-waisted shorts are such an underrated travel item. You can pretty much pair them with anything including a loose white tank top with a bandeau underneath and a light cardigan. This outfit would work well for a red-eye flight or if you were planning on driving a lot in the morning. This is a perfect outfit for coming back from your vacation. The ripped jeans will go great with a strappy loose tank top to show off your tan. The sunglasses and hat are a perfect finish along with some simple jewelry that you might have even gotten during your trip. If you’re going somewhere slightly chilly, this outfit is for you. Leggings are a staple for travelling but the addition of the strappy tank top and sandals will give you a more polished look. 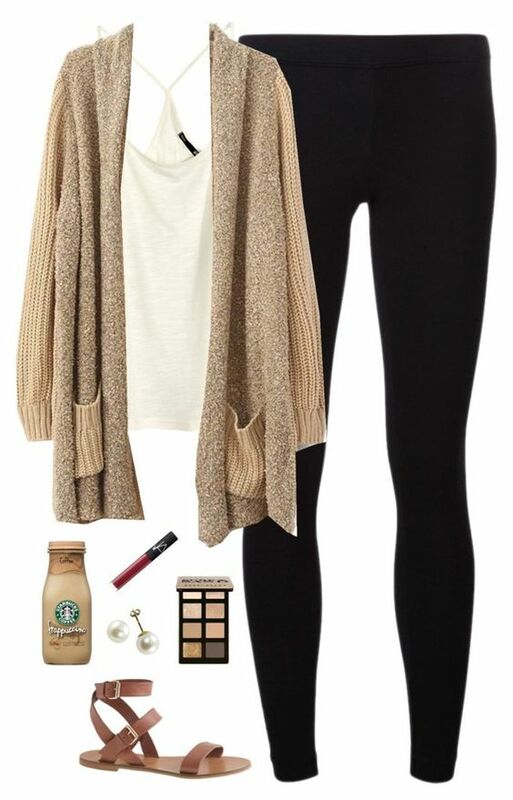 Adding the cardigan is optional but will keep you warm on those chilly nights. If you’re looking for good travel vibes, look no further. 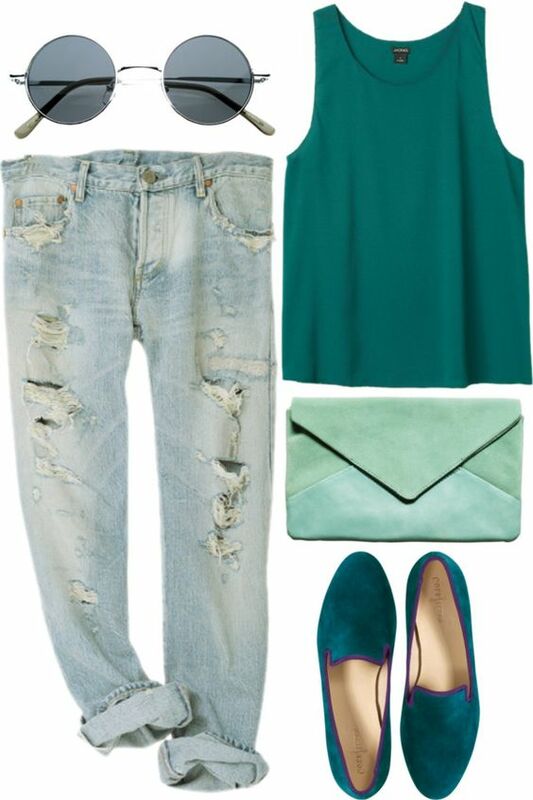 This boho outfit pairs ripped cropped jeans with a green tanktop and green slip-on shoes. The tinted sunglasses help to give you a hippie vibe too. If you’re looking for a unique outfit, this one is for you. Overalls are really just a denim jumpsuit so all you have to do is find a tank top or crop top to pair with them. 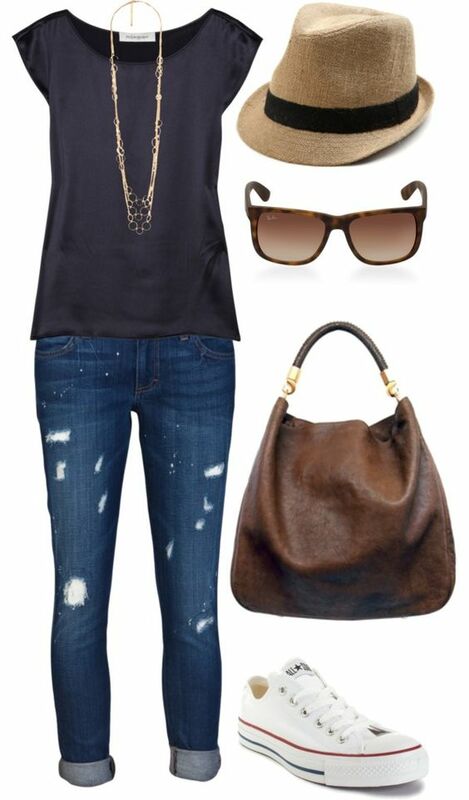 Then add sunglasses and converse or sandals to complete this look. This is the quintessential travel outfit. If you’re looking for something comfortable and cute, then invest in a maxi dress. Maxi dresses keep you cool, give you room to breath and still allow you to look cute. When in doubt, wear a maxi dress as much as you can while travelling. next post 7 Accessory Trends You Need to Try This Summer!